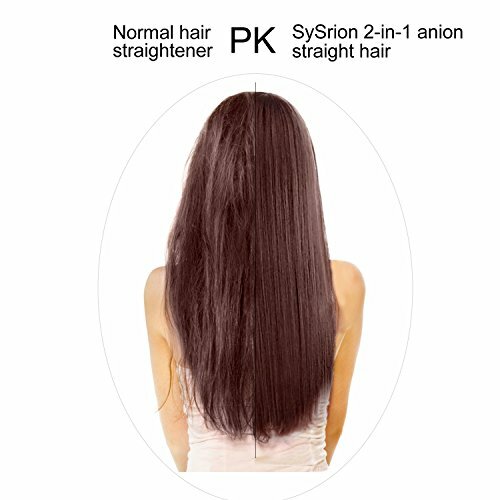 SySrion HAIR STRAIGHTENING BRUSH is a New Generation straightener with 2 in 1 PTC technology. 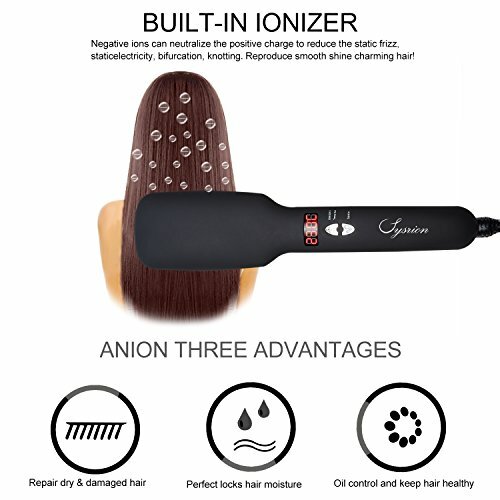 Heating Ionic Hair Straightening Brush can glamorize your hair instantly with magic silky and stlye your hair. 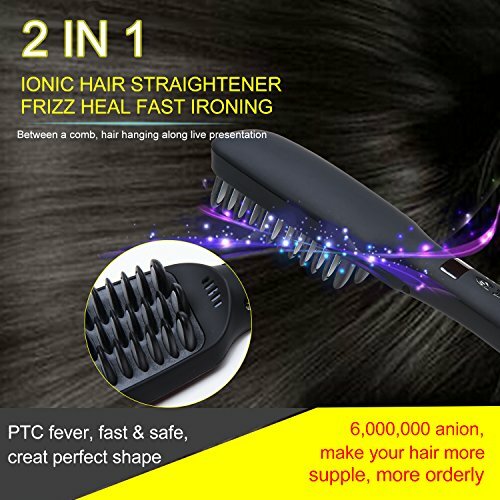 INSTANT HEAT UP: The hair straightener brush warms up quickly to the desired temperature for a silky straight hair with advanced PTC heating technology. 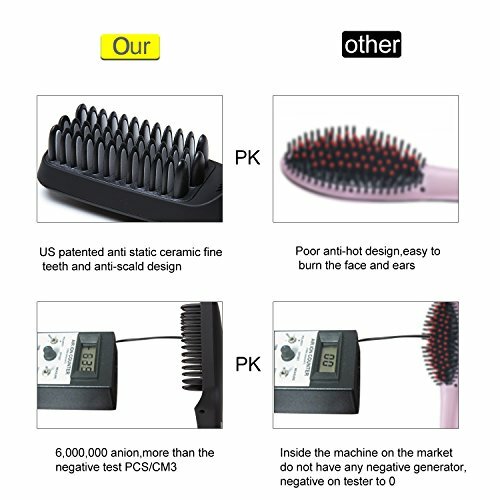 2 In 1 FUNCTION: PTC Heating+Ionic Hair Brush. The default operating temperature is 190?/374?. And it can be set in 5 heat levels with LED display, from 150?/302? to 230?/446?and ionic suit for all hair types. The anion-shaped teeth go deep into your hair roots with oil treatment for the hair and messaging. Anti-scald, Zero Damage, making your hair tangle-free, silky and lustrous! PARALLEL TEETH DESIGN: After using, it'll be incredibly clean, no tufts or clumps of hair to dig out or accumulate and works well with thick & long curly hair. 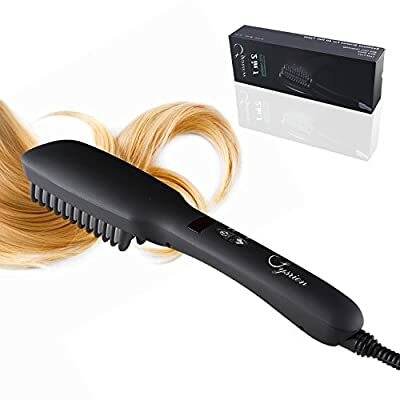 EASY TO USE: It's as easy as straightening your hair while brushing with this hair straightener. Pressing the button to set different tempreture as required for styling and curling. 360 Degree rotatable power cord can avoid twining, which is more convenient. AUTOMATIC SECURITY TURNING OFF FUNCTION: It turns off automatically after a usage of 60 minutes. The product will also come with a heat resistant glove and a fleece bag as FREE BONUS.